Phil 'Philosofree' Cheney is the author of 8 books and many poems and songs. Welcome to his library! Great read! I really liked the part about holographic memory, I have read about that before and it is really interesting. So many things are coming together in the area of science and spirituality, and this book helped me understand how it connects. I wish there were more books around like this that include history, romance, adventure and time travel or other lives or whatever you call it. The whole shebang. The series was fun and totally unpredictable, sort of a crime novel that travels the world. I once read another book that was similar, but never a series like this that goes across the world and includes thinking about how people live. Bion is a great guy, sort of a James Bond with a family! Loved the pictures, felt I was in Africa! Fun book, simple and the kids love it! Read the first chapter of this book, published by UK publisher JHP, by clicking on this Amazon link (Look inside). Due for release in 2016, this third book in the Energizing series is for people who have issues with relationship boundaries, in marriage, work, belief, friendship etc. 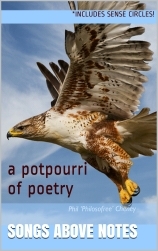 Click on the Book Cover to view details of the Poetry book below. Click here to see samples (Amazon Look Inside) of the colorful and interesting poetry that includes sense circles! Click on the Book Cover to view details of the Travel experience book below. The amazing experiences my wife and I had in our trip along the Camino de Santiago in Spain in 2015! 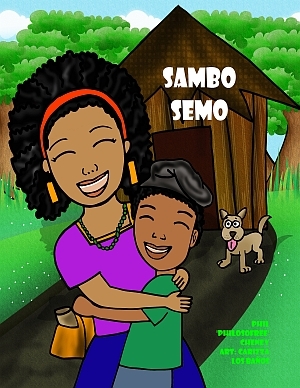 Click on the Book Cover to view details of the children's book below. Click here to view a sample (Look Inside) from this delightful little book about the power of belief in a child. Released today from author Phil Cheney comes a book which finally ends the debate between science and religion. 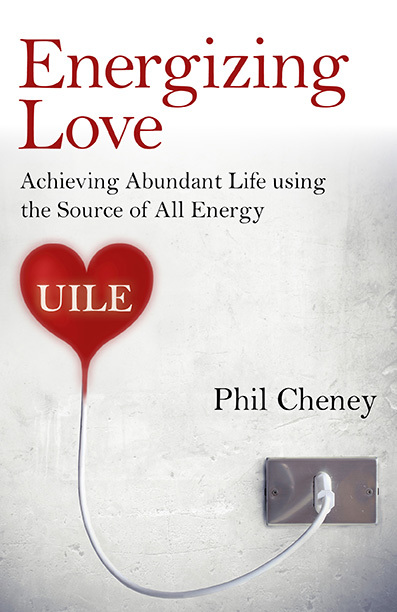 In his new book, Energizing Love, Phil Cheney deftly details the spiritual divide that is composed of love energy. If you have struggled with which side to choose, the logic and proof of science, or the synchronicity and psychological depth of spirituality, then this book gives another option. The author explains that neither camp is right or wrong. In fact both are just views of the very same reality. All matter, including us humans, is made of energy, and energy has the characteristic of intentionality. “Energizing Love” explains in readable, non-theological and easy-to-understand science, why humanity should be against the judgements of ‘wrong / right’ as the major enemy of peace and joy, and shows how all streams of thought point to the energy of intentional compassionate love as simple and irrefutable common ground. With simple stories, and compelling quotes ranging from Einstein to Rumi, this book explores the many ways to get in touch with your own subconscious, and live an abundant life of joy! Psychology, quantum physics, de-mythologized religion, age-old spirituality, holographic memory and practical life tips are all explored in this uplifting treatise, which challenges everyone to see their commonality in Universal, Intentional Love Energy. Into the dirty world of sexual slave trafficking a young man works for an illicit operation. On the other side of the world a young woman endures another kind of slavery. Somehow the two are destined to cross paths, but not necessarily at the same time. Clarity coach, musician, public speaker and author Phil Cheney lives a life of abundance. A published poet, he has traveled to over forty countries and worked as a CEO, software programmer, director, IT analyst, soldier, policeman, consultant, international marketer, music producer, builder, composer, and university lecturer. 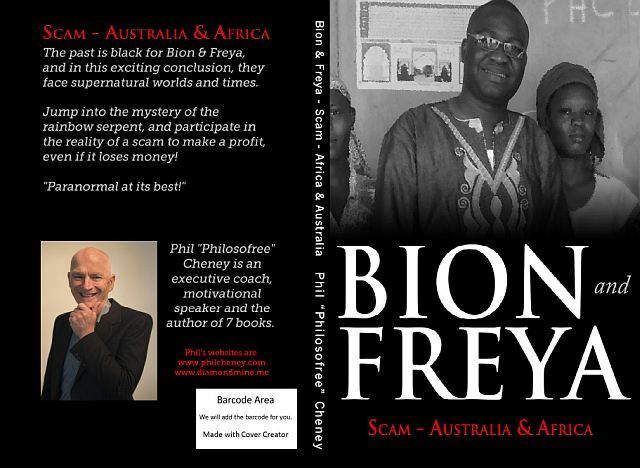 Phil Cheney’s first book, “Bion & Freya Trilogy”, was published in 2013. This one-of-a-kind historical fiction impressed readers around the world with its complex and compelling story and characters. Phil Cheney’s critically acclaimed non-fiction book, “Energizing Love”, shows readers how to live a life of abundance and tap into a limitless source of energy. 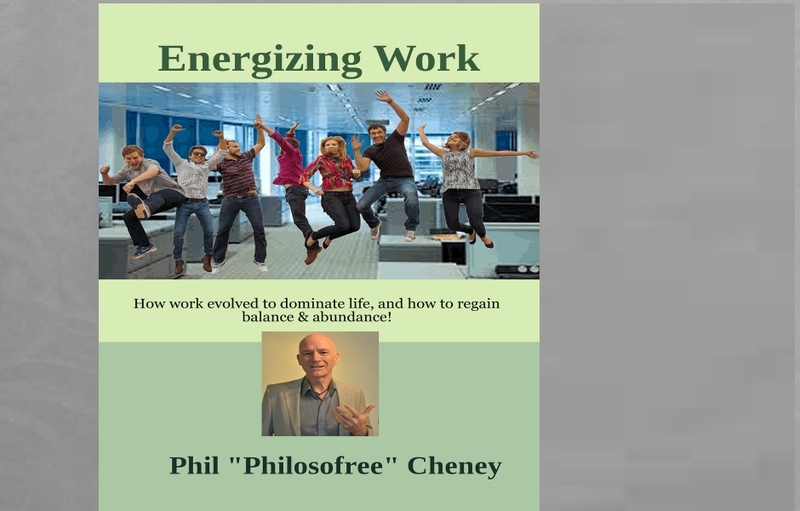 Phil Cheney also recently made his eBook, “Energizing Work”, available free for download from his website for his fans or anyone interested in getting more out of their careers. 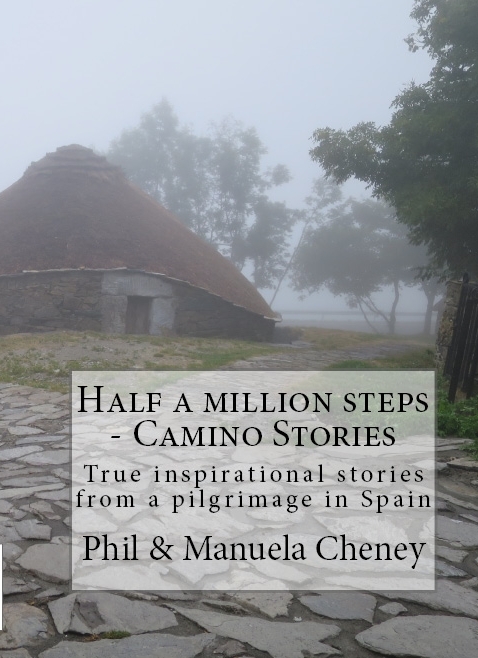 In his most recent book, “Camino Stories”, Phil and his wife, Manuela Cheney, walked 350 kilometers along Camino de Santiago in northern Spain where they met people from 15 different countries. Their inspirational story and the stories of those whom they encountered are detailed in “Camino Stories”. Examiner reporter Ryan Stabile sits down for an exclusive interview with author Phil Cheney to talk about his amazing journey through northern Spain, his love for making music, his role as a public speaker as well as his other literary works. RS: Hello, Phil. Congratulations on your recent book, “Camino Stories”. It sounds like you and Manuela had quite the adventure together. How did the two of you prepare for your journey? PC: Haha! It was with enthusiasm that we trained along the banks of the Humber River, gradually walking 10, 20 then 30 kilometers a day. Then we went to Spain and the mountains we walked over were 1500 meters high (4500 feet) and it was an entirely different proposition. Each step on the slopes was about one third of the length on the flat! So it was a lot more tiring and difficult than we had imagined. RS: Was there any point during your walk when you just wanted a helicopter to fly you out of there? PC: Manu, (I call my wife Manuela that, Australians tend to shorten names) was at her wit’s end at one point, 10 kilometers from any civilization and crying with blisters. I know she would have welcomed a helicopter then! For me there was a time when an airlift to the next place we were going to, Montan, would have been appreciated. It is an amazing time on the trail, but like any real adventure, there is danger also. RS: Do you and your wife plan to return to Spain to do another pilgrimage? PC: Most definitely! Manu is committed to do the entire French Camino and I want to walk from Portugal. We also are interested in doing the Inca trail in South America and other walks too. RS: You also wrote a captivating book series called the “Bion & Freya Trilogy” which is a deft blend of supernatural romance and historical fiction. What was the process for writing that? PC: Well they are historical fiction, so the story lines were really based on my worldwide travels and experiences, and other true stories from other times. However the nature of reality is very complex, we really do not understand a lot of the intuitive and spiritual side, so I wanted to include those aspects of my experience which are paranormal. Being in touch with past and future lives is entirely consistent with my belief in time and the nature of quantum physics as we know it. RS: You’re also an accomplished musician. What role does that play in your writing? PC: Good question! In actual fact music and dancing are essential aspects of all human experience, coordinating our mind with our body. I wrote about that in “Energizing Love” and it is more important to me now. When I play the guitar and sing, especially with my friends and co-musicians at De Sotos, our favorite jazz restaurant in Toronto, I am refreshed and renewed for writing again. The same occurs when I do physical work, such as building a rock wall, as I am about to do later today! RS: You also give seminars to businesses. What subjects do you discuss when you’re addressing companies? PC: Companies or groups, the subject is always the same, how to inspire people to live life to the full. Abundant life is my motto, and as the owner and leader of a software company I found that when people are enthusiastic about their work, their productivity multiplies! So I talk about uncovering the potential within, which is the same subject as coaching, actually! RS: So, what’s next on your bucket list, Phil? PC: I am currently working on a new music CD, OptimMmystic, and have the framework for another book which is on Freedom. Fascinating, because Freedom and Optimism are connected, you know! Each day is a new opportunity for learning and growing. And fun! Don’t forget the fun! RS: Where can people find out more about your books and other endeavors? PC: I write blog articles from time to time and they can be found at my blog. All of my art is available here, though you have to register to get access to the music. Or connect via my Facebook page. RS: Phil, it’s been an enlightening experience. Thank you for taking the time to speak with me. PC: It is my pleasure, Ryan! When we talk about the books and stories that move us, it’s more often than naught real life stories about people with whom we can relate to that resonate with readers the most. A new book by Phil Cheney, “Camino Stories”, packed full such stories, but with a very interesting twist. Authors Phil and Manuela Cheney set out on a pilgrimage along the Camino de Santiago in northern Spain in 2015. Their “Camino Stories” is a collection of real-life tales about people from over 15 countries they encountered during the course of their journey. The result is an awe-inspiring look into the human spirit, told from real people with mysterious spiritual synchronicity. Readers will love the light yet deeply engaging writing in “Camino Stories” that makes it easy to pick up and read each story individually, but impossible to put down. Every bit of “Camino Stories” is entertaining and insightful, written with an honest sincerity that fans have come to expect from Phil Cheney. Australian-born Phil Cheney now lives with his wife, Manuela, and children in Toronto, Canada. A published poet, he has traveled to over forty countries, and worked as a CEO, software programmer, Director, IT analyst, soldier, policeman, consultant, international marketer, music producer, builder, composer, and university lecturer. Phil Cheney’s first book, “Bion & Freya Trilogy”, was published in 2013 about timeless courage and love. His personal adventures have led to joint business ventures in Africa and Europe, which are locations included in may of his other books. In his abundant life, Phil has successfully written/produced two musicals, 450 poems, 250 songs, over 20 Enterprise software modules, five paintings, seven books, and many short stories. Packed full of colorful character and captivating photography, Phil Cheney’s “Camino Stories” is a great read for anyone interested in travel, spirituality, or just enjoys inspiration, real life stories from other cultures. You can find “Camino Stories” available here.